You already know that the hours of labor and delivery that a mother and child experience as part of the birth process are a journey that is unlike anything else that they will ever experience in their lives. During the unique experience of labor, delivery, and birth, there is the risk that the mother, the child, or both could get injured. An injury during labor and delivery could cause temporary health problems for the mother or the child, or there could be long-lasting or even permanent health effects of the injury. Many times when a child or a mother gets hurt during childbirth, the injury can get traced back to an act or an omission (a failure to act) by one or more of the medical professionals who provided care to the mother and child during labor and delivery. If a mother’s or child’s injury can get traced back to one or more responsible parties, the parents of the injured child or the injured mother can, with the help of an attorney, pursue a claim for medical malpractice. A birth injury claim can help an injured mother or child get the care that they need to live their best life. For example, a birth injury that leaves a child permanently handicapped creates a need for that child to have housing, transportation, and other accommodations in his or her home and life above and beyond what a parent would need to be able to raise a child who did not get hurt at birth. Some of the accommodations, surgeries, and other types of care that mothers and children need after getting hurt during childbirth are costly, and a medical malpractice claim can put those things within reach of the people who need them. While it is possible that any injury could happen during the birth process, there are some common injuries associated with labor and delivery. For example, mothers may experience tearing or hemorrhaging. Some children get brachial plexus injuries, cerebral palsy, fractures, brain hemorrhaging, brain swelling, nerve damage, or brain damage. The injuries may be apparent from the time a child is born, but sometimes birth injuries go unnoticed until a delay in meeting developmental milestones becomes apparent. Whether an injury is immediately visible or takes some time to get revealed, it is essential that parents get it evaluated as soon as possible so that it can get accurately assessed and a plan for treatment can get made. It is vital the injured mother or the parents of the hurt child have an accurate assessment of what type of treatment and accommodations they will require until the injury heals, or, for those whose injuries will require a lifetime of care, what the injured party will need during their lifetime. That information will help your birth injury attorney know what amount of damages they should pursue with your claim. In addition to seeking compensation for medical bills and expenses related to medically necessary accommodation, your claim for damages might include damages for lost wages, lost opportunities, physical pain, emotional distress, and permanent disability. 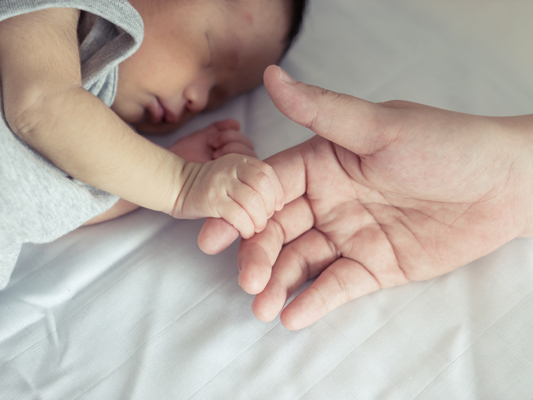 If you or your child was injured during birth, get medical attention for the injury as soon as you notice it and talk with a Mississippi Birth Injury Attorney. You might be able to pursue a claim for damages. To learn more, call the Mississippi Birth Injury Attorneys at the Giddens Law Firm, P.A. at (601) 355-2022.